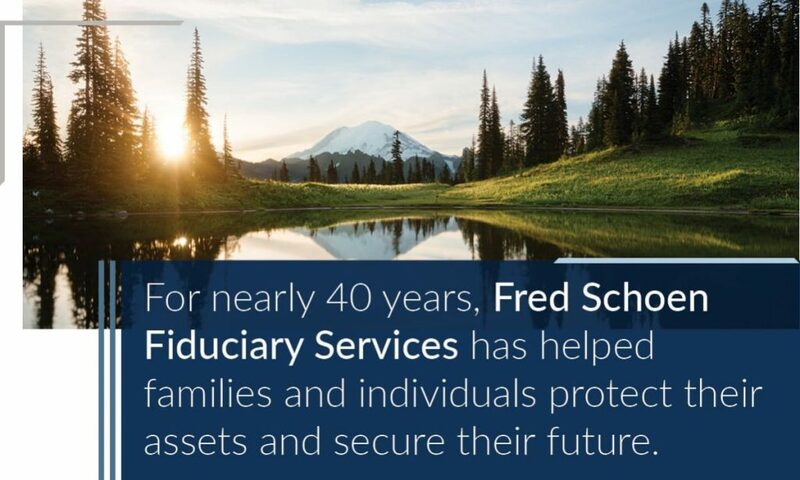 At Fred Schoen Fiduciary Services, we work together with your estate planning attorney, financial advisor, and tax professional to help navigate the complex world of estates and trusts. We build personal, lasting relationships with clients from all walks of life. We offer unbiased support, tailored to each unique situation. And we help create and administer plans that both preserve and protect your wealth, now and for decades to come. Our work requires us to act with honesty and good faith, and always with you and your loved ones best interest in mind.